In her speech commemorating the holocaust, the Chairperson of the Albanian Parliament, Josefina Topalli spoke about the benevolent hospitality and generosity of the Albanians, as the two most prominent moral values, of our nation, which helped to save the Jews from the fatal persecution of the Nazis during the II World War. “Albania was the one occupied country that evaded the Nazi persecution of Jews and had the unique survival rate of 100%. 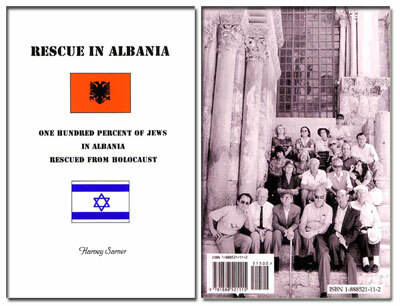 It was the only occupied country to have a larger Jewish population after the Second World War than before.” writes Harvey Sarner in his book “Rescue in Albania”.